This month’s spotlight is on my dear friend Katrina, who some of you know on the SLACK channel and as my co-moderator on the Ravelry group. Not only is she an absolutely lovely person, she has much to offer in terms of teaching, learning and inspiration. Just her photography alone is enough to inspire someone to get on their spindles or wheels and spin immediately! I hope you enjoy reading about her journey – she has much to share! All photographs are Copyright Katrina Stewart. I definitely lean more towards being shy and quiet, until I get to know someone well, then I’m quite talkative. I love to craft and to be busy, so I always have a project (or five) on the go. I think this love of craft and busyness comes from growing up in a very “down to earth” type household. With 4 kids and parents who ran their own business, we did a lot of cooking and baking at home. Sundays were often a day of meal prep and the whole family would spend the day in the kitchen. There would be a full stove top of tasty soups and sauces going, while bread and cookies were being baked in the oven. I loved these days and often do the same now that I have a family of my own. By trade, I’m a professional photographer and have run my own business for 20 years. I’m also a mom to two amazing little girls and lucky enough to have been married to an amazing man for the last ten years. I don’t really remember a time in my life when I didn’t have a fibre type project on the go. My mom taught me to knit when I was about 7 years old and my great grandma taught me to crochet when I was about 10. I would make anything from scarves to hats to big queen sized blankets. Funnily enough, I have gifted most of these things away and I rarely make for myself… but this a habit I’m slowly starting to change. When I was in my early twenties, I was driving home through the Okanagan and stopped for a night to visit my cousin. She let me have a go at spinning, and I LOVED it. Sadly, I didn’t have anyone close to me at home that I could learn from, so it remained a fascination that I admired from afar. Then, in February of 2014, I was chatting with the new owner of our LYS, and she was a spinner. I could barely contain my excitement when she agreed to teach me to spin. I would “escape” to the shop for a lesson and some spinning time every Sunday for a few weeks. It wasn’t long until I was scouring Craigslist for a used wheel. I finally found an older Ashford Traditional that seemed to be in decent shape and brought her home with me. I was HOOKED and really dove head first into the fibre world. I would constantly have a project on the go and would spin at every available opportunity. I watched a couple of Craftsy’s classes and in particular really enjoyed, Felicia Lo’s Spinning Dyed Fibres and Jacey Bogg Faulkner’s From Worsted to Woolen. I scoured my library for spinning books and was constantly reading and trying new things. That fall, with just 8 months spinning under my belt, I joined team Sweet Georgia for Spinzilla week. It was great to connect with other spinners and I had a lot of fun that week. The following summer, Diana Twiss, whom I’d met during Spinzilla week, met up with me and gave me a quick lesson in spindle spinning. I loved that I could now take my spinning with me and create very different yarns from what I was making on my wheel. 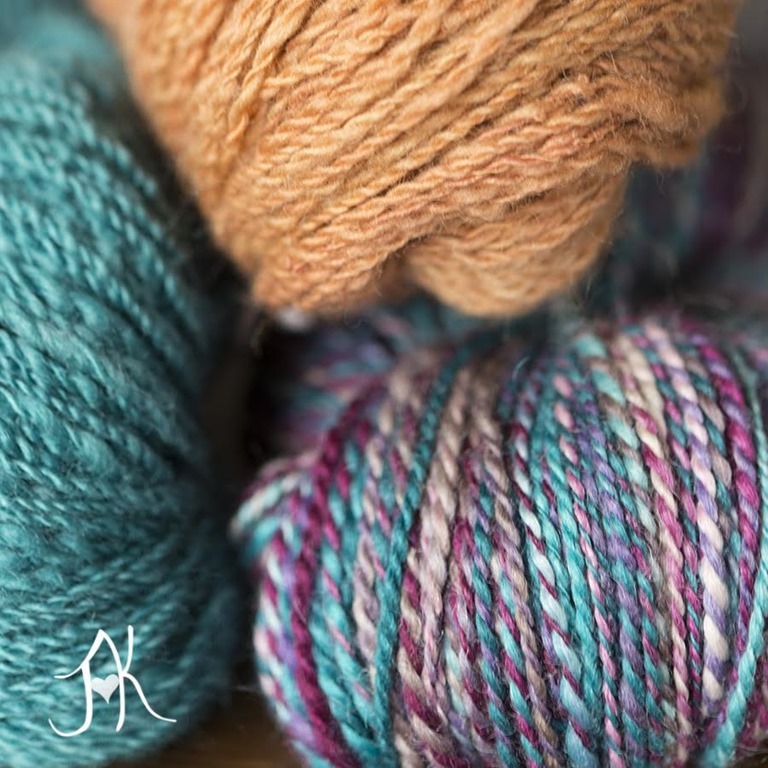 There was a point around this time, that my husband, who also happens to be a knitter, asked me if I was ever going to go back to knitting… because all I seemed to want to do was spin! Now, I seem to have a healthier balance to my spinning approach. I almost always have one or two spinning projects on the go, as well as one or two knitting projects! It’s funny, when I first learned to spin, I wondered if I’d ever get to a point where I’d be able to actually create the yarn I’d envisioned in my mind. Now, I love nothing better than to look at my fibre and decide exactly what I’m going to create with it, from yarn to project. I love, love, love to play with colour. I love to see what I can create with it and how I can change it from what it is in the braid. I subscribed to the Sweet Georgia Fibre club quite early in my spinning life. It really forced me to work with colours that I often would never have chosen on my own. It’s through the club colours that I really learned to see the beauty in combo drafted and combo plyed yarns. I can take two or three months of colours, combine them together and create something completely different and unique. I think this is my favourite part of spinning, being able to create yarns that are 100% unique. You can give the same colourway to three different spinners and I can guarantee you, you’ll end up with three very different yarns! Lately, I’ve been really drawn to spinning fine. I love to create sock yarns, as well as lace weight two plys for shawls. I know this will likely change soon, because as much as I love the finished yarns, I don’t always love the investment of time in creating them. For me, spinning is a mix of things. At times, I find it incredibly meditative. 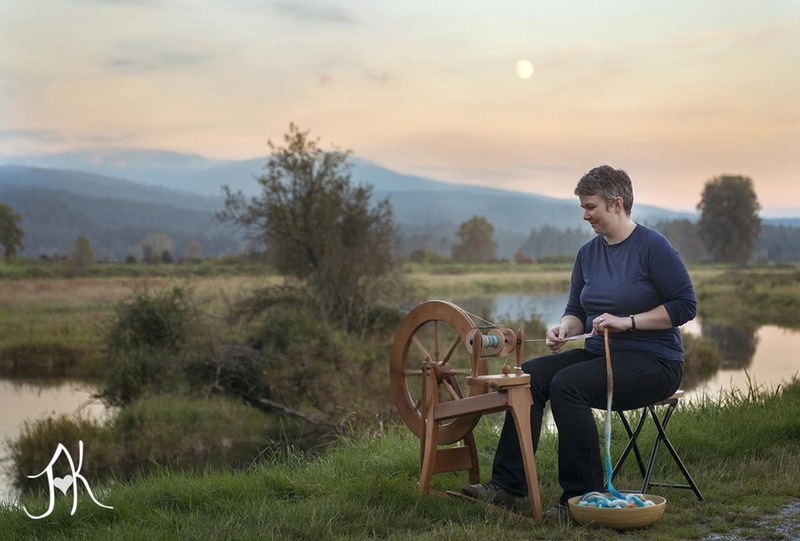 Sometimes, when I’ve had a really rough day, I find sitting at my wheel or pulling out my spindle for 15-20 minutes just completely changes things. I’m able to work through whatever it is that is bothering me and come back at the problem with new eyes and a refreshed sense of self. At other times, spinning just fills a need in me to create and play. And yet at other times, I’m very focused on creating a specific yarn for a specific project. I think it all depends on my mood that particular day. 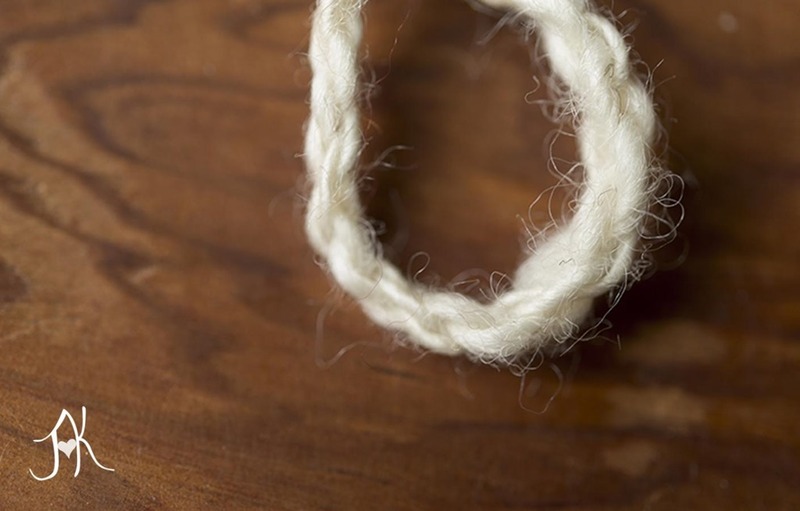 I think one of the best pieces of advice I read early on in my spinning career, was to “spin the good stuff.” Basically, the author was talking about the fact that we often teach beginners with the coarser, easier to spin wools, and for some, this can really turn them off. 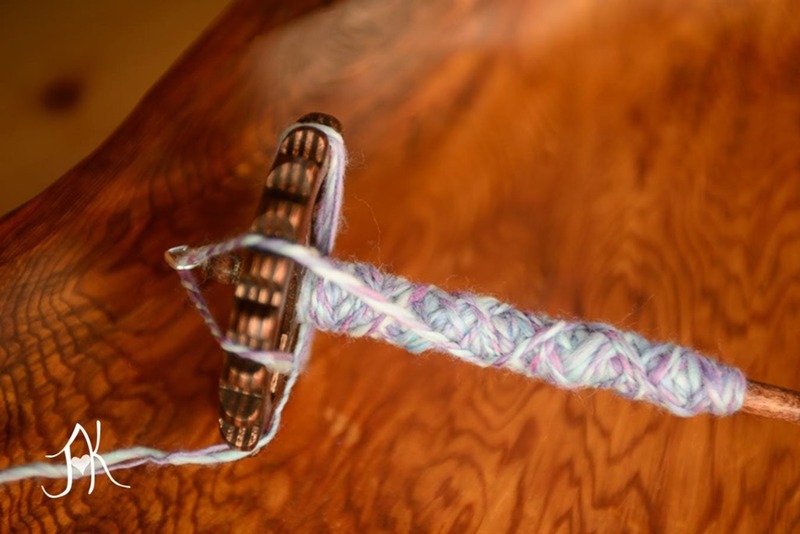 There is nothing wrong with grabbing that beautiful hand painted braid you bought on a whim and spinning it now, even if you’re not very good yet and you might “make a mess of it!” This advice has really shaped who I am as a spinner. It’s allowed me to let go of my inner critic and just dive into things. I worry less about making a mistake and focus more on just enjoying the process… in whatever shape that takes! As a new spinner, I was in awe of people who owned multiple wheels and a whole fleet of spindles… and now I’ve become that person too. In March of this year, I bought a Schacht Sidekick and it’s quickly become my go to wheel for almost all my projects. I love it’s portability, but also the smoothness with which it runs. I still have my Ashford Traditional, which I LOVE for plying, especially the jumbo flyer and bobbins that allow me to easily fit 8 oz on it. I also own 8 spindles, each I love for the very different yarns that they create. My husband is also a photographer, and we often talk about our cameras as tools. They are a means to an end. They are simply what we use to create the images that are in our heads. I find the same is true for me in the fibre world. My wheels and spindles are simply tools. Beautiful tools, but tools none the less. They enable to me to get lost in an art form that is simple and relaxing. They allow me to create yarns that I love to then knit with. They are the basis for what I am as a fibre artist. 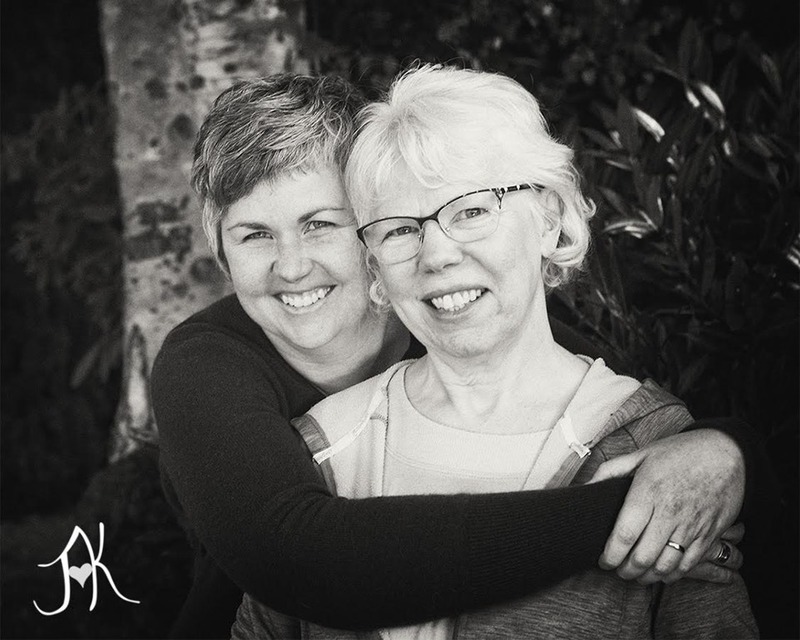 A couple of years ago, my mom and I, launched a small company called Crafty JAK’s Boutique. We started out by designing and making baby hats and headbands for photography props. 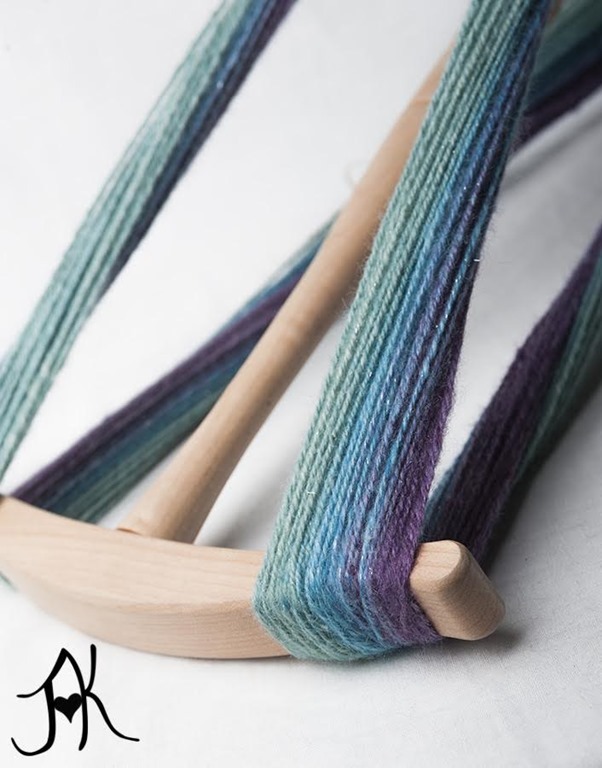 As I became more and more involved with spinning, we slowly started to design more and more with handspun yarn, and then, this past summer, we purchased a Strauch finest drum carder and it’s launched a whole different aspect of the fibre world for us. We’ve now added hand dyed, hand carded batts to our line of products and we’re having so much fun with it!! It’s opened up a whole new level of playing with colour and creating on a much deeper level. 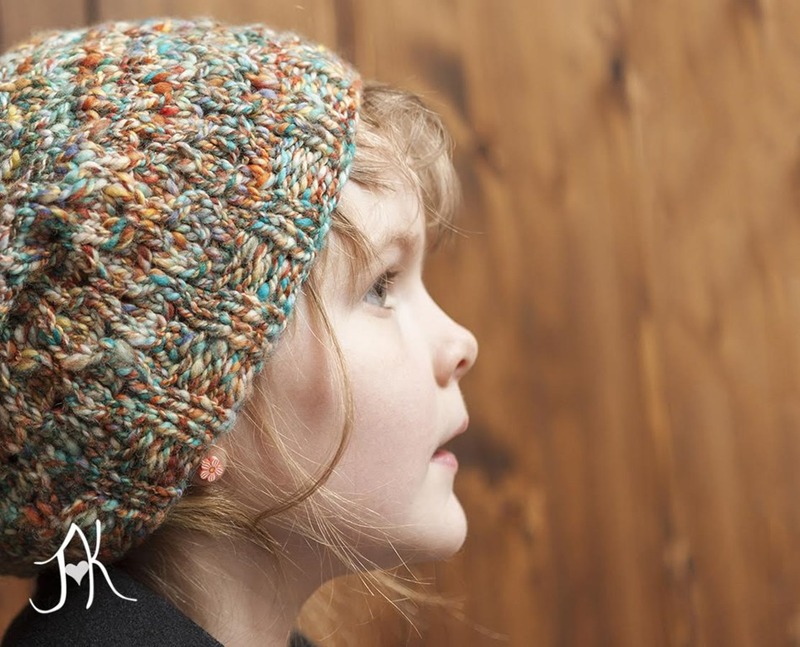 We attended our first show at Knit City this past October in Vancouver and we’re looking forward being at Fibres West in March. It’s been a really exciting journey these last couple of months and I’m really looking forward to what the New Year holds! We’ve got a few projects in the works right now, and I can’t wait to share more about them soon. Thank you to Katrina for sharing her journey – I hope you enjoyed reading as much as I did!